I am seriously out of order here, where is the point of a content free blog? My one fan has noticed the absence of content. I have apologised. 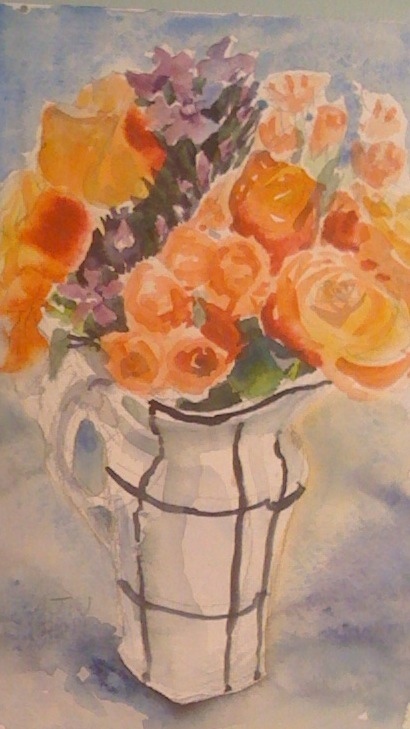 I have spent the last month and more trying to sift through all the complicated bits and pieces that are necessary to make life as an octogenarian passable, no it’s not me ,I am not secretly eighty, but the lovely aunt is. Without effective glasses, using an unmaintained hearing aid and with unpredictable holes in her memory my aunt has struggled. This is made worse by stress and stress she has had by the bucket load, that and quite a lot of isolation in a nice bungalow with snotty next door neighbours on the edge of a smart cathedral city. Give me a grotty location with some sparky neighbours every time; culture is great but feeling comfortable is a lot more important. However lovely aunt enjoys a bit of classical music, used to go to the Proms in the fifties and sixties before it was ever televised, we have started to find the culture that is available in deepest Sussex. Surprisingly there is quite a lot. We have been to a recital in a church with the most wonderful cello playing. DIY Dad sank to new depths last night, as I did a dreadful sloppy painting, he took the combination microwave apart on the kitchen table. He found the faulty component and triumphantly waved the circuit board at me. He thinks he may be able to mend it….by the way the general advice is don’t do this at home children and certainly not on the kitchen table because there are parts of the circuit on a microwave that store 4000 volts of power…I think that would kill you, or him. You would not believe the complications of circuit and component inside a microwave…but then it can cook a chicken and brown it in twenty minutes which is more than I can do with any normal oven. No2 son has a number of projects on the go, one involves the new curvaceous beauty in his life whose pneumatic curves disport themselves across his bedroom floor, I look in last thing at night and have found them entwined sleeping happily…sorry I did say it’s an inflatable canoe didn’t I? He is planning trips to explore several local waterways once his sprain is healed. He badly damaged an arm in the school gym…the teacher still wants a note to tell him about the injury that happened under his nose and resulted in No2 being sent home for a trip to casualty ( I had my story ready as it was the second arm injury I had taken there in a month). The other project involves building a laser “gun” from laser pens…….this seems creative but dangerous beyond my childhood experience. I mean I knew someone whose older brothers made gunpowder and blasted holes in the bottom of their garden, but I never did it myself. Lovely aunts friend C. invited us to Battersea for paella, I only ever had indifferent paella I discover, hers was fantastic I ate till I could eat no more and then we got stuck into the coffee and brandy. 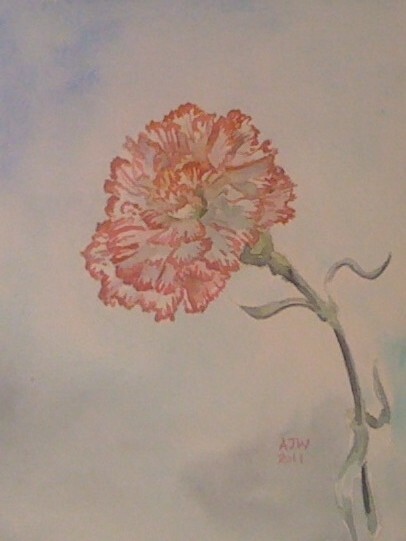 This little carnation is for her as I think carnations are one of her favourite flowers.